Imagine pre-statehood Michigan, an area where land wasn't deemed suitable to be given as bounty land to the War of 1812 veterans. An area that was thought to be swamp land, much like the Everglades in Florida. This is the land where the first Battle Creek log schoolhouse was built in 1834. Obviously, the surveyors of the time got it wrong as Michigan was developed and became a state in 1837. The area around Battle Creek, at this time, was one of wilderness with a few Indian villages. The log schoolhouse is no longer in existence and all that stands in its place is a parking lot and a historical marker denoting it. The transcription of the markers is "Near this spot, facing the Indian Trail, the village's first public school was erected in 1834. Built of logs, its floor, desks and benches were constructed of lumber floated down the river from Bellevue's sawmill. Warren B. Shepard, the first teacher, had a dozen pupils. The pioneers paid eighty dollars for their schoolhouse, using it also for religious services, debates and other meetings. Sometime friendly Potawatomi Indians dropped in to watch the strange doings." The log schoolhouse held classes and other community events from 1834-1838, when the school became overcrowded. The school was built by Deacon Salter, who received $80 to build it, on logs that were floated down the Battle Creek river from Bellevue. During this time the log schoolhouse had two teachers: Warren B. Shepard and Sarah Phelps. The residents who sent their children to this school included: Judge Sands McCamly, General Ezra Convis, Moses Hall, Deacon Salter, Daniel Thomas, Isaac Toland, Nathaniel Barney and Nebediah Angell. The population of Battle Creek, at the time, was less than 400. The school became overcrowded and in 1837 the residents voted to build a bigger school and appropriated $500 for the building. The new school was known as the Frame Schoolhouse and it was built in a new location. The Historical Marker for the Log Schoolhouse may be found on East Michigan Avenue, in downtown Battle Creek. Last Day Local is a blog prompt I use to celebrate the history of Battle Creek, Michigan, my hometown for the past 26 years. I try to post one article on the last day of the month about the heritage and history of Battle Creek, The Cereal City! Note: 04/11/2019 The Michigan Genealogical Council is in the process of updating the Pioneer Certificate Program. The information below is no longer relevant. This post will be updated as information becomes available. The Military Certificate Program is no longer in use. Updated information will be placed on the Michigan Genealogical Council website mimgc.org under "Projects" when it becomes available. Are you looking for that unique gift for someone who has Michigan roots? Look no further than the Michigan Genealogical Council (MGC). MGC serves genealogical societies, family history organizations, and family associations within Michigan. It coordinates genealogical activities that are of statewide interest. In addition, MGC provides information to its member societies and works toward the preservation of materials and their deposit in Michigan repositories. MGC has two certificate programs that honors family members who have a pioneer or military history with Michigan. The Michigan Pioneer Certificate has five certificate options based on when your ancestor arrived in Michigan. 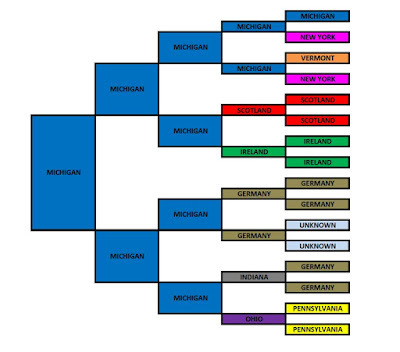 Pre-Statehood: Direct descendant of an early settler who settled in Michigan prior to Michigan’s statehood (26 January 1837), when Michigan was part of the Northwest Territory. First Family: Direct descendant of an early settler who was a first family in a settlement, community, or county of Michigan. Pioneer: Direct descendant of a settler who settled in Michigan after Michigan’s statehood, on 26 January 1837. 100 Years: Direct descendant of a settler who settled in Michigan at least 100 years ago. 150 Years: Direct descendant of a settler who settled in Michigan at least 150 years ago. 175 Years: Direct descendant of a settler who settled in Michigan at least 175 years ago. The Military Certificate program has ten certificates based on which war your ancestor served, supported or aided. War of 1812: Direct descendant of a War of 1812 veteran, who actively served, supported or gave aid during the war and either lived, died or was buried in Michigan. Indian Wars: Direct descendant of an Indian Wars veteran, who actively served, supported or gave aid during the war and either lived, died or was buried in Michigan. Patriot War: Direct descendant of an Patriot War veteran, who actively served, supported or gave aid during the war and either lived, died or was buried in Michigan. Mexican War: Direct descendant of an Mexican War veteran, who actively served, supported or gave aid during the war and either lived, died or was buried in Michigan. Civil War: Direct descendant of a Civil War veteran, who actively served, supported or gave aid during the war and either lived, died or was buried in Michigan. Spanish-American War: Direct descendant of a Spanish-American War veteran, who actively served, supported or gave aid during the war and either lived, died or was buried in Michigan. World War I: Direct descendant of a World War I veteran, who actively served, supported or gave aid during the war and either lived, died or was buried in Michigan. World War II: Direct descendant of a World War II veteran, who actively served, supported or gave aid during the war and either lived, died or was buried in Michigan. Korean War: Direct descendant of a Korean War veteran, who actively served, supported or gave aid during the war and either lived, died or was buried in Michigan. Vietnam War: Direct descendant of a Vietnam War veteran, who actively served, supported or gave aid during the war and either lived, died or was buried in Michigan. I believe the costs are reasonable and all money goes to support the efforts of MGC. The costs are each certificate application $20.00; additional certificate application $10.00; supplemental application $10.00; and replacement certificate $ 5.00. World War II: Bruce Glover, my father. These are the ones I can think of off the top of my head. I am sure there are many other ancestors that would qualify. Again, these would make great gifts for Father's or Mother's Day, or if you need more time, Christmas is only 276 days away! Disclaimer: I am a member of the Michigan Genealogical Council Board of Directors. I have received no compensation in anyway for this blog post. The views and opinions expressed in this blog post are purely mine. The Mining Journal, (Marquette, Marquette, Michigan, USA), 9 April 1960 ; J.M. Longyear Research Library, Marquette, Marquette, Michigan, USA. He was born Nov 12 1884, in Jackson, lived in Frankfort as a child and moved to Munising in 1905. 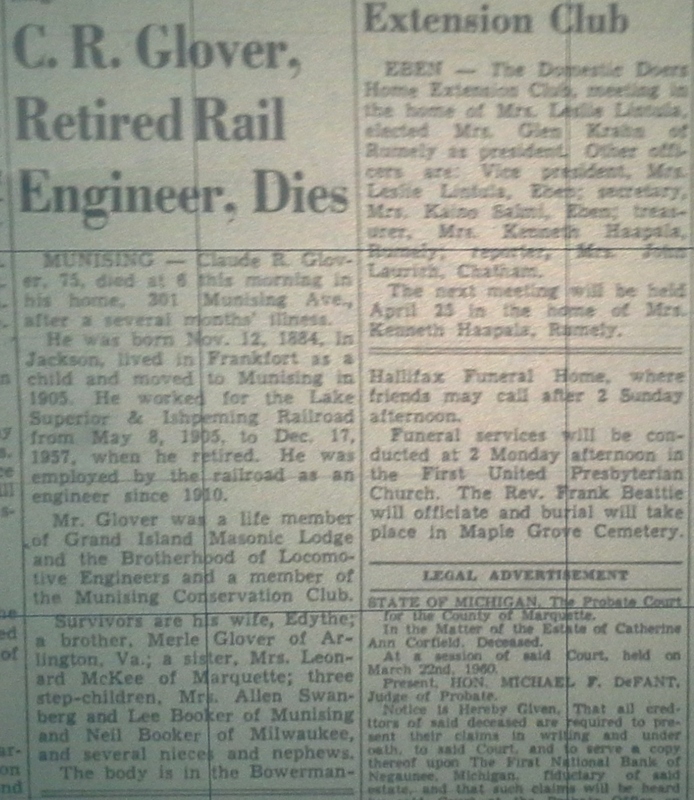 He worked for the Lake Superior & Ishpeming Railroad from May 8, 1905 to Dec 17, 1957, when he retired. 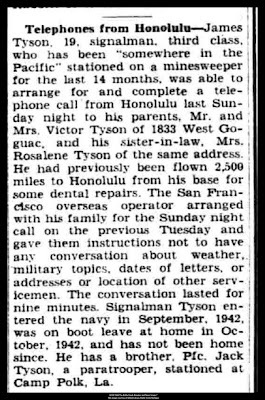 He was employed by the railroad as an engineer since 1910. 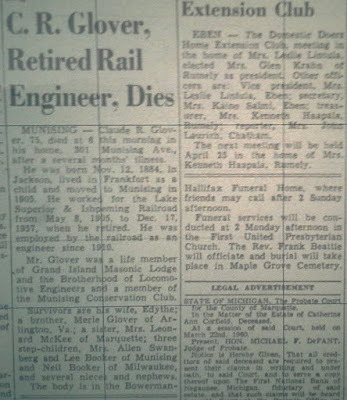 Mr. Glover was a life member of Grand Island Masonic Lodge and the Brotherhood of Locomotive Engineers and a member of Munising Conservation Club. Survivors are his wife, Edythe; a brother, Merle Glover, of Arlington, Va; a sister, Mrs Leonard McKee of Marquette; three step-children, Mrs Allen Swanberg and Lee Booker of Munising, and Neil Booker of Milwaukee and several nieces and nephews. The body is in the Bowerman-Hallifix Funeral Home where friends may call after 2 Saturday afternoon. Funeral services will be conducted at 2 Monday afternoon in the First United Prebysterian Church. The Rev. Frank Beattie will officiate and burial will take place in Maple Grove Cemetery. Claude Raymond Glover was the son of Frank H. Glover and Hattie Fenn Glover. He is my grand uncle. Once a researcher has found the low hanging fruit records, it is time to search beyond the online databases and conduct on the ground research for unique record groups. When I did this I found that my third great grandfather, Daniel Fenn, was an overseer of the poor. Daniel Fenn was one of the earliest settlers in Washtenaw County, Michigan Territory. Daniel and his family arrived, from Vermont, to Dexter Township, Washtenaw, Michigan Territory in the spring of 1833. He helped found what was then the Vermont Settlement in the Territory. The Vermont Settlement in Sylvan Township held its first organizational meeting in April, 1834. Daniel Poor was appointed overseer of the poor at this meeting. The organization of the settlement drew on the government organization from New England. In New England, towns would appoint overseers of the poor. The job of the overseer of the poor was to see that those who could not care for themselves were looked after. Payment to the overseer of the poor was made from town funds. Where do you look for town records in Michigan? Early town records in Michigan can be found in a few different places. I found town records at Ypsilanti Historical Society, Bentley Library at the University of Michigan, and Genealogical Society of Washtenaw County. The Archives of Michigan have some as well. Historical and Genealogical societies, as well as archives, in the locality one is researching are great resources that every family researcher should use. I enjoy going to local repositories because you never know what you may find. Local resources are filled with information that only the locals know about. Step away from your computer and get out and visit your local repositories. Many of the repositories have an online catalog where you can search for town records. Some repositories will pull the records and make copies for those who live out of the area, for a fee. If you want to add unique details to your ancestors family history, check town records for mention of your ancestor. A fun distraction is going around the genealogy community this morning and I thought it would be fun to participate. The above pedigree chart shows the birth places of my ancestors. The home person is me, with my father's ancestors across the top and my mother's ancestors across the bottom. I like the visual aspect of this chart. It allows me to see at a glance my heritage There are thirty one places on this chart. The birth place of Michigan leads the chart with ten people being born in Michigan. Second, is Germany with seven ancestors. I was happy to see I only have two that are unknown. I am like a lot of Americans and have a real melting pot of ancestry. What does a genealogist do on a rainy day? Gets distracted and creates a multi-colored pedigree chart. Family pictures are some of the most precious mementos I have of my family. The picture above has to be in the Top Ten of pictures I treasure. I received this picture from my cousin, Jamie Welch, last year. Who wouldn't treasure this picture? Look at her tiny waist and awesome hair. This treasured picture is of my grandmother, Daisy Ellen Graf and her sister, Mary Ann. They were the daughters of Valentine Graf and Nancy Mast Graf. Daisy, was two years older than her sister, Mary Ann. Daisy was born in 1892 and Mary Ann in 1894, both were born in Howard county, Indiana. I don't know a lot about this picture, such as date taken or where, but I think it was taken in Manistee county, Michigan. I don't have a picture of my Grandma where she is younger than this. Most of the pictures I have of her are after she was married and had children. The Graf family moved from Howard county, Indiana to Brethren, Michigan in the early 1900's. Daisy and Mary were young children when the family moved. I imagine this picture was taken in Manistee county between the time the family moved to Brethren and 1913, when Daisy had her first child. This picture reminds me of the song, Sisters, Sisters and the lyrics, "Sisters, Sisters There Was Never Such Devoted Sisters...Lord help the mister who comes between me and my sister and lord help the sister, who comes between me and my man. Aunt Mary is one of my grandma's sisters that I remember. She lived across the street from my grandma, in Brethren, Michigan, and I think they remained close throughout their lives. 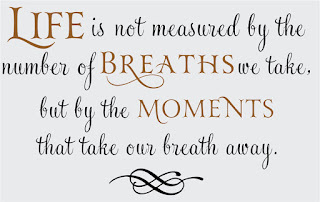 "Moments that take our breath away" are the best kind of moments. I have had a number of breathtaking moments in the past 35 years. I mention 35 years because my husband, Kirk, and I are celebrating our 35th wedding anniversary today. It is a special occasion for us. We plan to do a quiet, romantic dinner at Mangia, Mangia restaurant in Kalamazoo, Michigan, tonight. 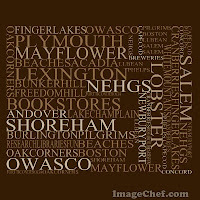 Our other anniversary celebration is taking what I am calling, "The Great Big New England Genealogy Tour". 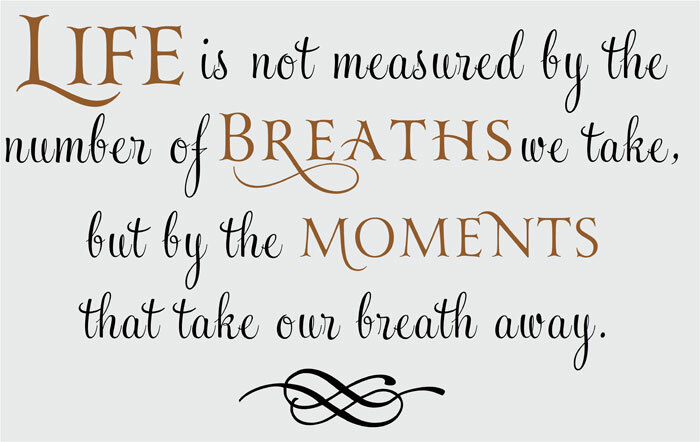 The moments that take my breath away have been those moments spent with family. Share my 35 moments that took my breath away with me. Our engagement after a dinner at Windjammer's Restaurant. Taking Kirsten for her first day of preschool at Milwood Cooperative Preschool in Kalamazoo. Watching Kirk as a wonderful role model and father to Kirsten and Travis. Many beautiful moments in the last 35 years that has me looking forward to all the moments that will take our breath away in the future. I could go on and on as I have many moments that took my breath away over the past 35 years. Below you will see the start of our beautiful life and where we are today. I was told repeatedly that my great grandfather, Johann August Fredrich, came from Posen, Germany. No family members had any records or documents supporting this, only hearsay. I thought, "okay, that is a start", until I started researching Posen! Posen was not only a city, but a province, as well, and a pretty big one! It wasn't until I was contacted by a Fredrich researcher, who lives in Germany, that I learned of the area the Fredrich family was from in the late 1700's. He even sent me a book on the area, "Heimat an Netze Brahe Weichsel". This image is a copy or a derivative work of central_europe_1786.jpg, from the map collection of the Perry-Castañeda Library (PCL) of the University of Texas at Austin. 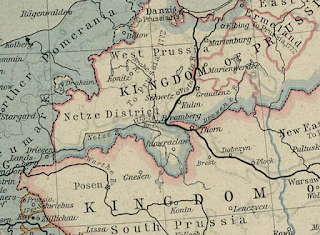 The Netze District was a part of the Kingdom of Prussia from 1792-1807. Wikipedia states," It included the area of Bydgoszcz (Bromberg), Inowrocław (Inowraclaw), Piła (Schneidemühl) and Wałcz (Deutsch Krone) and was given its name for the Noteć River (German: Netze) that traversed it." The Fredrich family was from the Bromberg area. This area eventually became a part of West Prussia, then South Prussia, which became part of the Duchy of Warsaw after Napoleon Bonaparte's victory in the War of the Fourth Coalition. 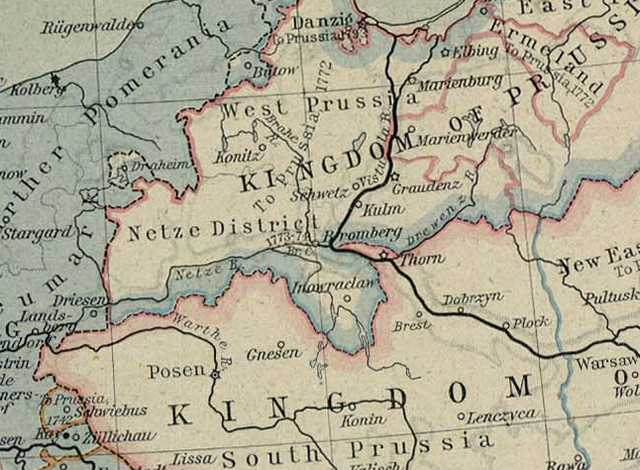 In 1815, it was divided between the Duchy of Posen and Poland. Today, the area is in Poland. Census records are some of the first records I search for when researching an ancestor. I have been doing a series of Where in the World? posts in table format to see where there are gaps in my research. This table is for Samuel B. Poor, my third great grandfather. The maiden names of our female ancestors are often elusive, especially the further back in time one researches. 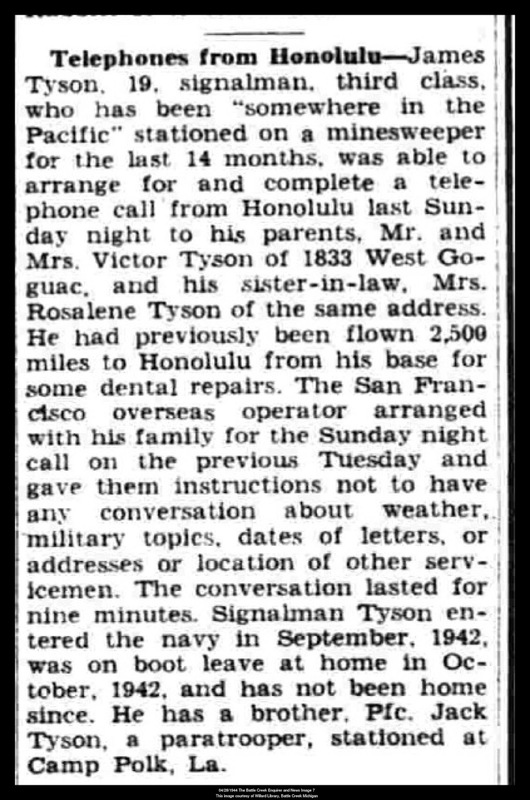 It would be great if we could find a marriage record for every couple in our family, but that isn't always the case. If a marriage record isn't available then one has to use other records to help find a maiden name. Some of the records include census, probate, newspaper, and church records. Source: "War of 1812 Service Records," database, Ancestry.com (www.ancestry.com : accessed 12 January 2012), Entry for Powers, William; National Archives and Records Administration. Index to the Compiled Military Service Records for the Volunteer Soldiers Who Served During the War of 1812. Washington.D.C. 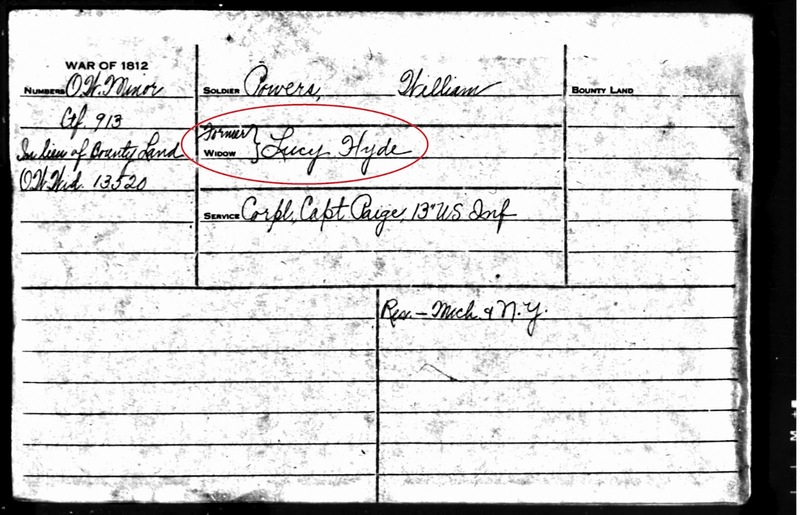 My elusive maiden name was for my fourth great grandmother, Lucy Powers Hyde. I first found Lucy's name in the War of 1812 Pension Application Files Index for William Powers. She was listed as William's widow, former Lucy Hyde. I was wondering if former meant this was her maiden name, or had Lucy remarried after William's death. Mrs. Lucy Hyde was admitted to membership of First Presbyterian Church, Ypsilanti, Michigan on 2 January 1834. Lucy Hyde was named in Ypsilanti's First Presbyterian church session records as the mother-in-law of Samuel S. Glover on April 27, 1835. Lucy Hyde is living with Charles W. Glover and Mary Ann Powers, her daughter, in the 1850 Census, in Ypsilanti, Washtenaw, Michigan. 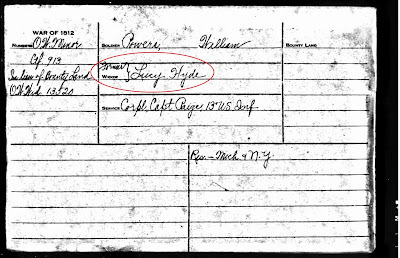 Lucy Hyde is living with Charles W. Glover and Mary Ann Powers, her daughter, in the 1860 Census, in Ypsilanti, Washtenaw, Michigan. Since Lucy was going by Hyde as early as 1834, I concluded that Lucy Powers remarried a male Hyde between Williams death in 1813 and her mention in church session records in 1834. Again, no marriage record has been found. Another record showed that Asa Pixley was appointed guardian for Remus Vernum Powers of Framington, Ontario, New York, dated 18 March 1820. This was the first time I saw the Pixley surname. Who was Asa Pixley? Was he family? Was he in Lucy's family? Each record I found led to more questions on my part. None of the records answered my research question by itself: What is the maiden name of Lucy, the mother of Vinera Egleston Powers and wife of William Powers? I found Pixley as Lucy's maiden name in a Bible record at Ypsilanti Historical Society, Ypsilanti, Michigan. The Bible was a Glover Family Bible, owned by Mrs. Hal W. Glover, Annie Overton Crary Glover. Hal W. Glover was the great grandson of Lucy, through her daughter Mary Ann Powers, who married Charles Williamson Glover. The Bible record stated that "Mary Ann Powers married Charles Williamson Glover". Her parents were recorded as "William Powers and Lucy (Pixley) Powers of St. Albans, Vermont." Did I find Lucy's maiden name? Maybe? I do not feel that my research is complete, especially when primary sources are scarce, unless I conduct a broad search. At this point, I don't feel I have conducted a broad enough search. Everything I have found is one piece of a very large puzzle, but a few more pieces are needed to come to the conclusion that Pixley is her maiden name. Further research found a Lucinda Pixley birth record in Vermont Births, Marriages and Deaths to 2008 at American Ancestors. It gave a birth date of 9 August 1783, in Westminster, Windham, Vermont. Parents were Paul Pixley and Sylvia. The birth year of 1783 coincides with census records that gives Lucy's age. Am I ready to write a conclusion of my research question: What is the maiden name of Lucy, the mother of Vinera Powers and wife of William Powers? Does the preponderance of the evidence lead to Pixley as Lucy's married name? Not yet, but I feel I am getting closer. Find marriage record for William Powers and Lucy, who married in Vermont, possibly. Research Westminster, Vermont and St. Albans, Vermont records for family information for William Powers. Use Fold 3.com to research William Powers, War of 1812 records. Research children of William Powers and Lucy, including William R., Eliza Ann, Remus Virnum, and Samuel S. Powers. What would you do next? Please leave a comment if you have any suggestions of where to look for Lucy's maiden name. 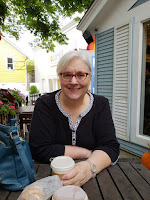 It's hard for me to narrow down the list of questions I have about my New England ancestors, but it is something I need to do as I plan my Great Big New England Genealogy Tour. This is going to be the most challenging part of the preparation for me. It is the most important part if I want to have a successful research trip. I started by looking at my research and creating questions that need to be answered. Next, I prioritized the questions to those that are ready for on the ground research. It is hard to know how many questions I realistically can work on during my trip, but I came up with the following, in order of importance. Three questions may not seem like a lot, but answering these questions will lead me to new avenues of research and more questions. Plus, I have a list of ancestral places I would like to visit and a list of additional questions, if needed. Question 1: Who were the parents of Daniel Fenn, who was born circa 1787, possibly in Vermont, and married Huldah Rowley, 28 Feb 1808, in Shoreham, Addison, Vermont? Question 2: Who were the parents of Huldah Rowley, that was born circa 1789, possibly in Pittsford, Vermont, and married Daniel Fenn, 28 Feb 1808, in Shoreham, Addison, Vermont? Question 3: What was the maiden name of Lucy, the wife of William Powers and mother of Vinera Eglantine Powers, who was born circa 1782, possibly in Vermont? Below is my blank research plan. I make a copy of it and fill in the relevant information based on the research objective/question. · Who were the parents of Daniel Fenn, who was born circa 1787, possibly in Vermont, and married Huldah Rowley, 28 Feb 1808, in Shoreham, Addison, Vermont? · According to the book, 1992 Supplement to the 1984 Genealogical Register of the Early Families of Shoreham, Vermont by Susan Holt MacIntire and Sanford Stowell Witherell, Daniel was born circa 1787. No other record of birth has been found. This date goes along with his death information. He died in 1836 at the age of 49. · Daniel Fenn married Huldah Rowley, 28 Feb 1808 in Shoreham, Addison, Vermont, United States. · Daniel Fenn and Huldah Rowley Fenn were the parents of Orpah Ann Fenn, Tully C.P. Fenn, Betsy M. Fenn, Aminda Fenn, Orlo H. Fenn, Daniel C. Fenn, Abel Fenn and two other daughters. · Daniel Fenn was a member of Capt. George Fisher’s Company, Sumner’s Regiment in the War of 1812 from 12 April 1814 to 20 May 1814. · Daniel Fenn, age 43, can be found living as the head of household in the 1830 Census living in Shoreham, Addison, Vermont with Male: Under 5: 1; Of 5 and Under 10: 1; Of 15 and Under 20: 1; Of 20 and Under 30: 1; Of 40 and Under 50: 1. Females: Under 5: 1; Of 5 and Under 10: 1; Of 10 and Under 15: 1; Of 15 and Under 20: 1; Of 20 and Under 30: 1; Of 40 and Under 50: 1. · Daniel Fenn and his family arrived in the Michigan Territory in the spring of 1833 settling in Sylvan Township, Washtenaw, Michigan Territory. He was one of the earliest settlers in Washtenaw County, Michigan Territory. · Daniel Fenn was named overseer of the poor for what was known as the Vermont Settlement in April, 1834. · Daniel Fenn and his wife, Huldah Fenn were two of fourteen original members of First Baptist Church of Lima, Washtenaw, Michigan Territory in July of 1833..
· Daniel Fenn purchased three land patents, certificate numbers 9093, 9094, 9095 for 80 acres per certificate for land in Washtenaw County, Michigan Territory. · Daniel Fenn is buried at Vermont Cemetery, Sylvan Township, Michigan Territory. His headstone states he died 8 March 1836 at the age of 49, making his birth year about 1787. · Check Census records for 1790, 1800, 1810, for Fenn’s living in Shoreham, Addison, Vermont that have males of Daniel Fenn’s age. (1790: 3; 1800:13; 1810: 23 married) There is a Daniel Fenn living in Washington, Litchfield CT in the 1790 and 1800 Census. Look at names on the pages surrounding to see if any came to Vermont or Michigan with them. · Check Addison county, Vermont Land Transactions for Daniel Fenn. · Check church records(Baptist?) in Shoreham, Addison, Vermont for mention of Daniel Fenn. 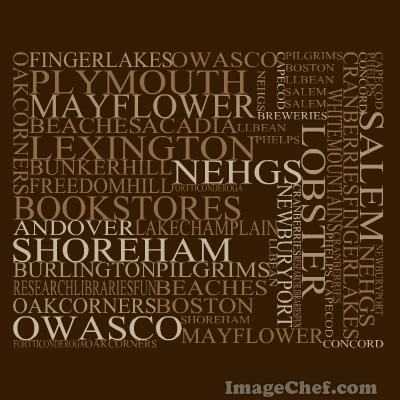 · Check tax records for Shoreham, Addison, Vermont for Daniel Fenn. · Check probate records for Washtenaw County, Michigan for Daniel Fenn, Date of death 8 March 1836. 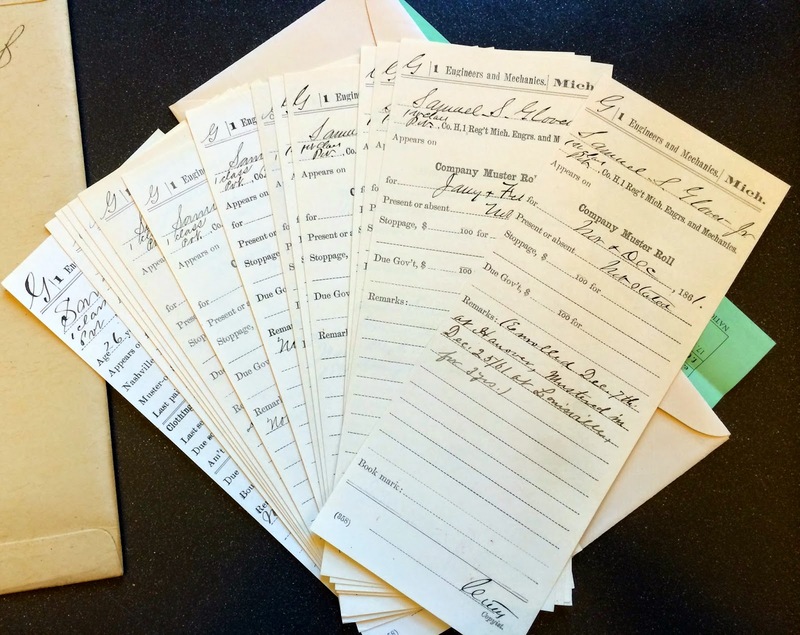 · Check First Baptist Church records in Lima Township, Washtenaw. · Look for Daniel Fenn’s War of 1812 records. The last three sections will be completed as the research is completed. If you would like to see my first, The Great Big New England Genealogy Tour post, click here. Six Years of Blogging and I Missed my Blogiversary! 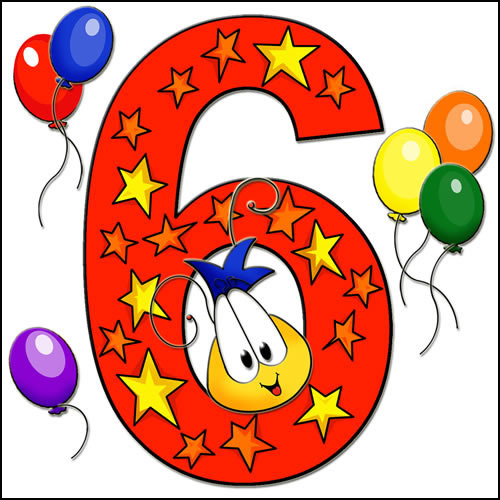 Happy 6th Blogiversary to Me! Journey to the Past celebrated its sixth blogiversary in silence! Usually, I post a blog on that day, March 1st, to celebrate the milestone, but this year it went by with barely a blip on my radar. 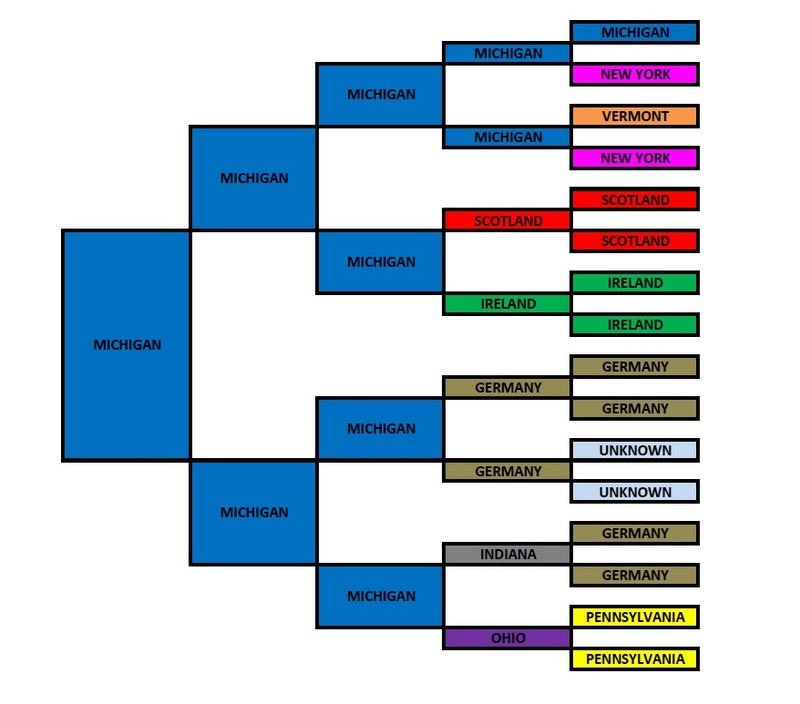 Was Your German Ancestor Recruited to Come to Michigan?